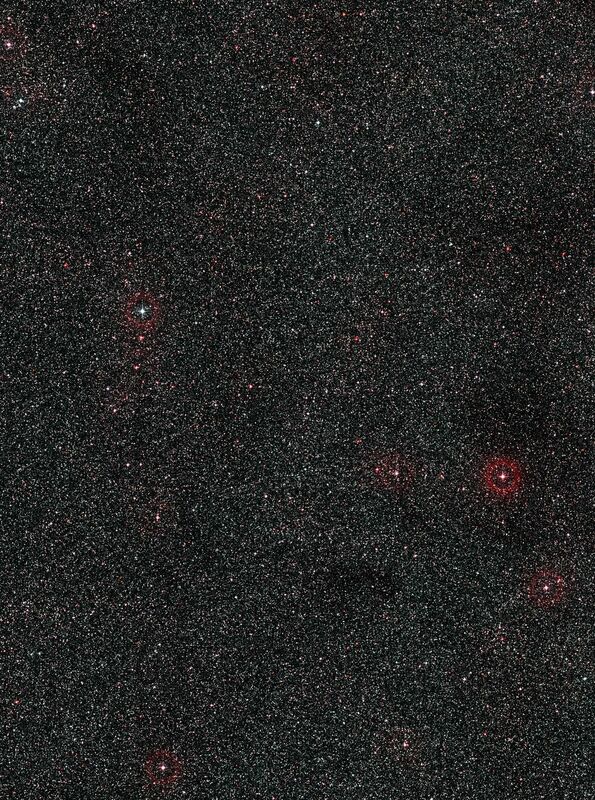 This wide-field image shows the patch of sky around the distant active galaxy PKS 1830-211. This view was created from photographs forming part of the Digitized Sky Survey 2. This part of the sky in the constellation of Sagittarius (The Archer) lies close to the central regions of the Milky Way and is very rich in stars. The remote galaxy lies at the centre of the picture, lost among the much closer stars of our own galaxy.